The Revolutionary War between America and Great Britain. ( British King George III ). The signing of the American Declaration of Independence from Great Britain. 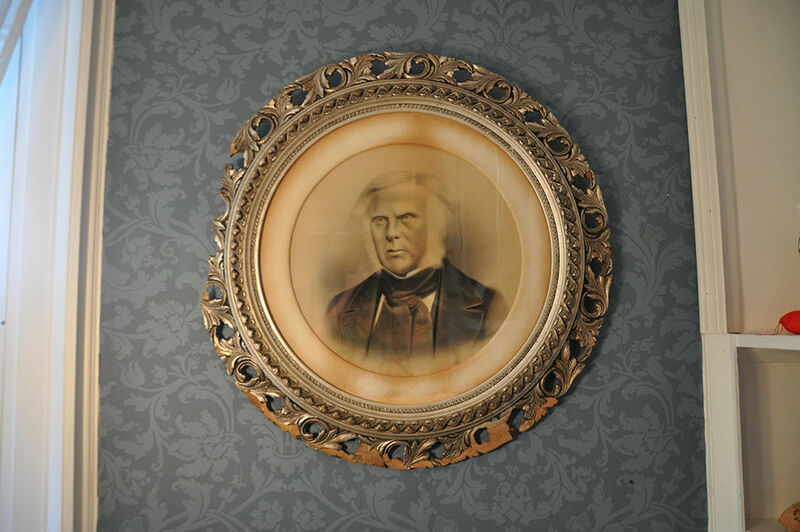 Dr. John McLoughlin's birth, October 19, 1784. ( Thomas Jefferson, U.S. President ). The War of 1812 between the U.S. and Great Britain. ( James Madison, U.S. President ). Coronation of British King George IV. ( James Monroe, U.S. President ). Dr. McLoughlin's arrival at Ft. George. The construction of the first Fort Vancouver. ( John Quincy Adams, U.S. President ). The construction of the second Fort Vancouver. Oregon City established by the Hudson's Bay Company. ( Andrew Jackson, U.S. President ). Coronation of British King William IV. Coronation of British Queen Victoria. ( Martin Van Buren, U.S. President ). The first Great Migration of Emigrants across the Oregon Trail. ( John Tyler, U.S. President ). Arrival of D. McLoughlin and family to Oregon City. ( James Polk, U.S. President ). U.S. Government recognized Oregon Country and Oregon Territory. Dr. John McLoughlin's death, September 5, 1857. ( James Buchanan, U.S. President ). Oregon Statehood February 14, 1859.